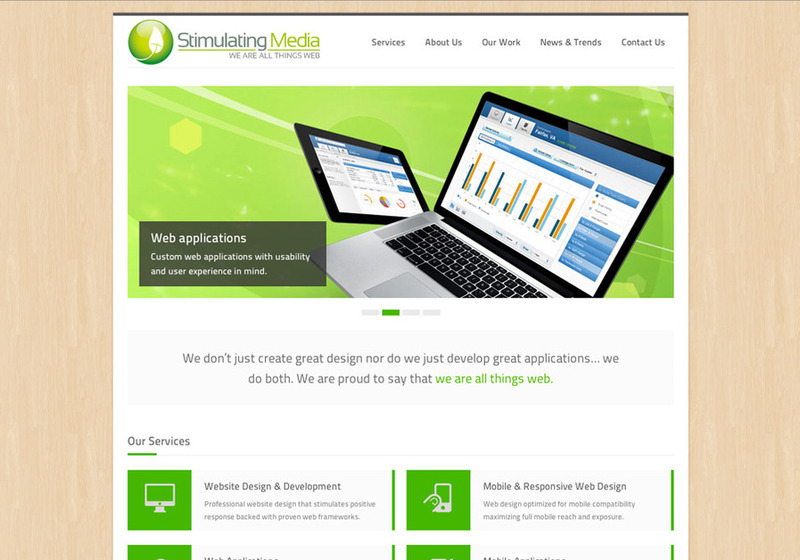 Stimulating Media®, LLC is a professional web design and web development company based in Owings Mills, Maryland. Founded on 2007 we started a company that would have just the right blend of creative design and development mind set. We are all about clear usable design and using the most up-to-date web technologies to create great user experiences. We don’t just provide clients with stimulating web design and advance web development, we also provide graphics design, motion graphics, online-marketing, social media, mobile web, and mobile applications development. Web Design and Web Development - Professional web design services backed with proven web framework development. Mobile & Responsive Web Design - Web design optimized for mobile compatibility maximizing full mobile reach and exposure. Web Applications - Advance applications tailored to your company’s needs developed with current web application frameworks. Mobile Applications - Native & web apps development for iOS, Android, Blackberry & Windows Mobile. Clutter free and intuitive designs.